Study with us | MAX Solutions. Choosing to study can be a big decision but one that can put you on the path to more sustainable work opportunities in the future. If you’re considering study, our training team are available to support you every step of the way. We’re here to get to know you, understand your goals and help you choose a course that will give you every chance of achieving those goals. Many of our courses are available at no cost to you, providing you meet eligibility criteria. We will assist you through any application processes and connect you with any funding you are entitled to. When you’re enrolled with us, you will receive ongoing support with your coursework. Our supportive and qualified training team will walk with you every step of the way, ensuring you have best chance of completing the course. Professional qualifications that give people industry skills and experience to start working in a new career. Research the available courses to find one that suits you. Online courses allow you to study as your schedule permits. We support students through their studies and with job searching and applications. 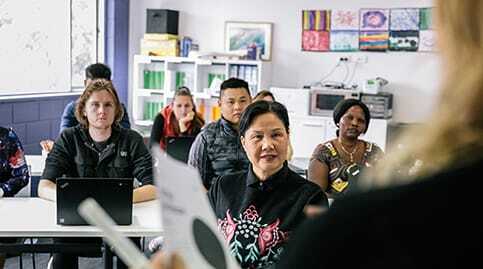 Providing new migrants with English language and other skills to help them settle into Australian life and open up opportunities for work in the future. Our trainers provide a safe, supportive and culturally sensitive classroom environment. Participants enjoy both classroom learning and through outings in their local area. Trainers provide support to participants as they plan their next steps. 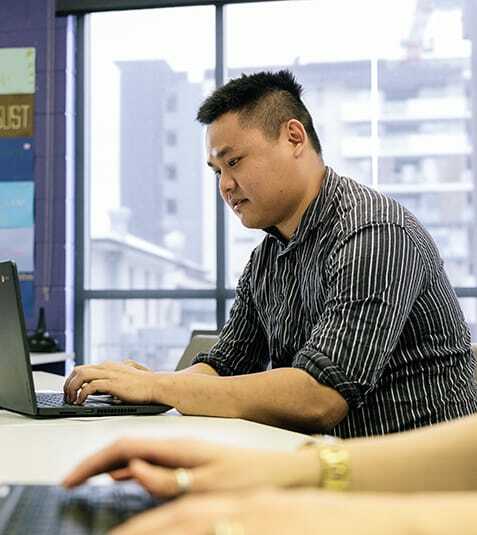 The SEE program provides jobactive, DES and other eligible income support payment recipients with language, literacy and numeracy skills to prepare them for further study or work. Training incorporates both classroom-based teaching and outings to relevant places in the community. Participants are supported as they create a plan to achieve their goals. Participants work towards a qualification that helps them achieve their learning goals. If you have recently completed a course with us, please complete a Feedback Survey to help us improve our training. To understand how we treat these forms and deal with the complaints, you can read our Complaints and Appeals Policy. If you would like to lodge an appeal against a decision that has been made during your assessment, you can access the assessment appeal form below. We encourage all students to download a copy of the 'Participant Handbook'. This guide contains important information about studying with MAX. The handbook includes: Enrolment and Induction Information, Learning Support, Asessments, Recognition of Prior Learning and Credit Transfer. You can find current summary information on MAX Solutions Training by visiting the training.gov.au website.